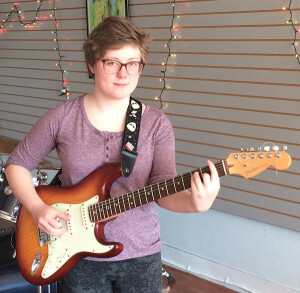 Alyssa, a native of Urbana, has been playing guitar since 2006. Her primarily focus is rock guitar, and she may be seen performing locally in an acoustic electric duo with John McMahon. She has also played with several local folk and jazz musicians. Her guitar teachers include Wes Howard and Young Kim. Alyssa also plays piano.